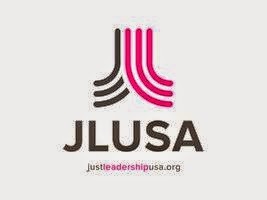 With the recent launch of JustLeadershipUSA, Glenn Martin, President and Founder of JustLeadershipUSA, is looking to elevate the voice of Americans impacted by crime and incarceration, especially people who have been imprisoned, by positioning them as “informed, empowered reform partners.” This will be done through leadership development, policy advocacy and reframing. JustLeadershipUSA has as its goal cutting the U.S. prison population in half by 2030. At 2.2 million people confined, the U.S. prison population has increased exponentially since the late 1960s, beginning with Richard Nixon’s candidacy and declaration of war, that is, the “war on crime,” in 1968, which specifically targeted Lyndon B. Johnson’s Great Society, which Nixon declared “lawless.” Since then, various laws and policies, on the Federal and state level, have contributed to mass incarceration and the grossly disproportionate imprisonment of people of color, mostly men, in the United States: Rockefeller Drug Law in New York (1973), which was adopted in other states; mandatory minimum sentencing across the nation as well as the Federal criminal justice system (1984), with the Federal government providing monetary incentives, in the form of block grants, for states to adopt mandatory minimum sentencing, which almost always increases the length of time in prison (New York’s Governor, George Pataki, continuously mentioned how New York would not be eligible for these block grants to build more prisons or hire more police if the state did not adopt mandatory minimum sentencing, which it did in 1998 after the tragic killing of a young woman by an individual who had been on parole for a nonviolent crime); crack-cocaine laws, which created longer prison sentences for crack-cocaine convictions over cocaine convictions, which disproportionately impacted people of color; the Antiterrorism and Effective Death Penalty Act of 1996, which made it easier, read quicker, to execute people sentenced to death; it also limited the right of habeas corpus, creating procedural hurdles that were too high to jump, not to mention the United States Supreme Court even ruling that a showing of “actual innocence” by an individual in prison could not overcome these procedural hurdles; tougher parole releasing policies as well as the increase in technical parole violations (returning people to prison for non-criminal violations of parole rules such as curfew violations or “fraternizing with known felons”); elimination of temporary release (including work release) programs; and three strikes laws requiring life sentences for those with three separate felony convictions, even relatively innocuous and nonviolent third felony convictions. Thirty years after Richard Nixon declared his war on crime, people incarcerated in the mid- and late ‘60s, ‘70s and early ‘80s were being released from prison. This is the reality, as Jeremy Travis writes and thus entitles a journal article and a book: “But They All Come Back: Rethinking Prisoner Reentry” (2000), and But They All Come Back: Facing the Challenges of Prisoner Reentry (2005). At the other end of the mass incarceration tunnel were individuals coming back from prison. The numbers are staggering. In 2002, more than 630,000 individuals were released from Federal and state prisons, and since then that number has remained pretty much the same. Thirty years prior to that, the number was less than 150,000 individuals. When we look at the more than 630,000 individuals released from Federal and state prisons every year, this translates into, every day, about 1,700 individuals released from these prisons, exploding onto the American landscape and this Era of Reentry. At the same time, there was great interest and thus an explosion of journal and newspapers articles on this phenomenon as well as books such as Jennifer Gonnerman’s Life on the Outside: The Prison Odyssey of Elaine Bartlett, which shows how a bit player, not a queenpin, got caught up in a drug sale and was given a life sentence under the draconian Rockefeller Drug Law, while the more culpable people involved in the drug world who set her up got a get-out-of-jail-free card. Additionally, there were the stories of the people themselves, those who had been imprisoned; they showed us compelling cases of the possibilities of transformation and what it looked like. They added something new, something different, to the reentry narrative, that is, through their stories, which they began to tell at conferences, at colleges, to journalism grad students, on radio shows and television. Some wrote about these experiences, mostly stories of their transformation. See Harvey Brown’s Freedom at Last: The Life of an Ex-Con, and Theo Harris’ Blessed and Highly Favored: Memoirs of a Multiple Felon. See also Piper Kerman’s Orange is the New Black: My Year in a Women’s Prison. The most important thing was that these men and women were taking control of their stories, not just being subjects, but also being authors of their own stories. There was something familiar in their stories, in their narratives, if you will, something that tapped into the historical connection between slavery and imprisonment in the United States. As many should know by now, imprisonment of people of color replaced slavery. (And the disproportionate imprisonment of people of color began even before the end of slavery. Gustave de Tocqueville and Alexis de Beaumont, in their study, On the Penitentiary System in the United States and Its Application in France, published in 1833, noted the disproportionate imprisonment of “Negroes” in the Southern States.) This is stated explicitly in the Thirteenth Amendment: “Neither slavery nor involuntary servitude, except as a punishment for crime whereof the party shall have been duly convicted, shall exist within the United States, or any place subject to their jurisdiction.” The big difference is that people who have been duly convicted of a crime aren’t given any moral agency – “They committed a crime!” This, some think, takes away from the fact that imprisonment is slavery under another name, and imperfectly Constitutional. These stories, these narratives, are similar to the slave narratives, eloquently given voice by Frederick Douglass. Making the transition from talking about slavery to talking about prison, more recently, we think of Malcolm X and his odyssey as documented by Alex Haley’s The Autobiography of Malcolm X. These stories have been critical in including the voices of those imprisoned and those formerly incarcerated. However, they are mere testimonies, powerful, but individual stories that only touch the iceberg of the problems of mass incarceration. Imagine if Frederick Douglass confined his speeches to his experiences as a slave. We would not have got his talk about the importance of the franchise, “What to the Slave Is the Fourth of July?” (1852), which is an issue of importance today for those imprisoned and those formerly incarcerated, many of them having lost the right to vote for life in a number of states, mostly Southern, as a direct result of a felony conviction. And imagine if Malcolm X confined his speeches to his experiences as a prisoner. We would not have his famous speech, “The Ballot or the Bullet” (1964), given more than 100 years after Douglass’ speech on the same topic. When Martin of JustLeadershipUSA talks about elevating the voice of Americans impacted by crime, he is talking about much more than the formerly incarcerated providing their testimony. He is talking about the people “closest to the problem” providing solutions to the problem. Indeed, many who have been on this reentry circuit for a number of years think of this “testimony-telling” and only testimony-telling as a “dog and pony” show. Needless to say, providing this testimony is important, more so for someone recently released as opposed to someone who has been out of prison for a number of years and has continued his or her formal education and worked in various capacities in the for-profit and the not-for-profit world, oftentimes in leadership positions. JustLeadershipUSA is positioning itself to go beyond the dog and pony show. It is, however, only the most recent organization looking to elevate the voice of formerly incarcerated people, but unique in that its goal is to reduce the U.S. prison population in half by 2030. Before JustLeadershipUSA, in New York, there was the Center for NuLeadership on Urban Solutions. In California, there was All of Us or None. There are other organizations across the country, founded by formerly incarcerated individuals and their families, most notably Citizens Against Recidivism, Inc., based in New York, which holds an annual Awards Ceremony honoring formerly incarcerated people for their work in the world and in their communities. The Awards are named after formerly incarcerated people. Also worth noting is Exodus Transitional Community, Inc., a faith-based reentry organization in East Harlem founded by Julio Medina, which has garnered national attention for its work in the field of reentry. Many of the above organizations were formed because the founders wanted to create new possibilities for themselves and others similarly situated. Additionally, working at established organizations, reentry organizations included, these individuals encountered the green wall, the glass ceiling for formerly incarcerated people. Most of these organizations were not truly cultivating the leadership of its formerly incarcerated employees. Martin and JustLeadershipUSA, and the other organizations mentioned above, as well as those not mentioned, are creating a new paradigm to not only elevate the voice of formerly incarcerated people, but also to develop the leadership of this group. With this, we are moving into another stage of this Era of Reentry. Stay tuned. We have become friends with Eric Waters from his regular attendance at the Bridgeport Reentry Roundtable. William Eric Waters has more than 25 years experience in the criminal justice system. He is the author of three books of poetry and one novel. He has a master’s degree from New York Theological Seminary and bachelor’s degrees from the University of Albany and SUNY New Paltz. Check out his blog at www.ezwaters.wordpress.com.